“I was so close to my parents. My Mum was my best friend and my Dad was the greatest man I’ve ever met in my life. They were kind and thoughtful people and it devastated us as a family when they both became terminally ill with cancer. “When mum was diagnosed with lung cancer we knew it was terminal from the start. We just had to focus on prolonging her life for a few months. With Dad, he had skin cancer for as long as I can remember. He was a very proud man and very physically fit, so he struggled when the dynamic changed and he needed to be cared for. “I was just 19 years old when mum was diagnosed and as we knew she didn’t have long, I came home from University to care for both her and Dad, whose condition had also deteriorated. My brother also left his job and came home – it had a massive impact on our families lives. At such a young age, you don’t expect to be told you will lose both your parents within the year. 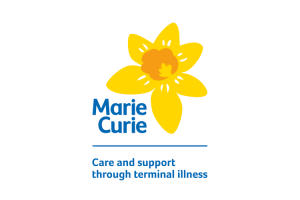 “We were then referred to Marie Curie and initially we received support at home. I was full time carer for both my parents – there’s no escape from cancer, its 24 hours a day and it was tough on all the family. When Marie Curie nurses came in the evenings it gave me some respite. I got a full night’s sleep and didn’t have to worry about medication for a while. “Mum also attended the day services at Marie Curie and she loved that. 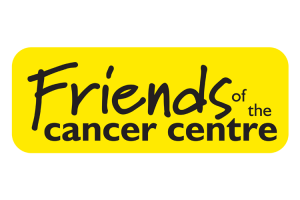 Cancer can be so isolating and she enjoyed the social aspect of doing activities with others. “Eventually both my parents went into the Marie Curie Hospice in Belfast where they shared a room. They found a solace here in each other’s company, we used to say it was like a home away from home. We could all relax knowing that they were being given all the care and support they needed and mum loved the gardens, as it’s something she never had at home. “Mum and Dad used their final months to remind us how much they loved us. They never got angry or resentful. They passed away three weeks apart with such dignity and grace. When I think back to that time now and having both mum and dad in the hospice at the same time, I don’t know how I got through it. When I think about how they missed all those key moments like my wedding day and never getting to meet their grandchildren, it makes me sad, but the only comfort that I take is knowing that I got to say goodbye. I look back with happiness as I had a brilliant relationship with my parents and I appreciate every one of the 19 years I had them in my life. “I can’t put into words how much support Marie Curie gave our family over this time. The Marie Curie nurses even came to the funerals. What blew me away was how they treat everyone as individuals and as if they were the only people being cared for. “I am always thinking of ways that I can try to give something back, so recently I shaved my head to raise money for Marie Curie. I felt I needed to sacrifice something and raise money for the charity that cared for both of my parents. I’ve done other fundraising activities, such as walks in the past, but I never feel like I’ve done enough. I thought that shaving my head signifies the tribute that I want to make to my amazing parents. My11 year old daughter, Caiti also cut her hair in support of Marie Curie. She’s never done anything like this before, but she really wanted to support the charity that cared for her grandparents. By supporting Q Radiothon you’ll be making a real difference to the lives of people, like Anita and her family, across Northern Ireland. 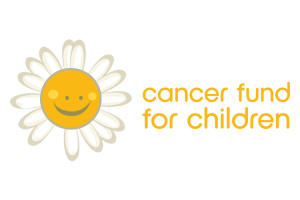 Q Radiothon is committed to supporting people by raising vital funds to support our fantastic charity partners. 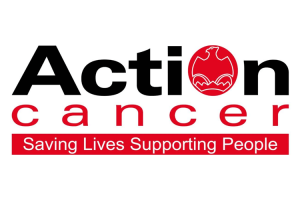 If you would like to help us make a difference, you can take part in our Big Brunch, Dress Down Friday, hold your own event or make a donation.